Yamaha and Honda has increased the prices of their 70 and 125 motorcycles. A few years back in Pakistan, the cost of vehicles came to see intense growth, but now the people who want to buy a motorcycle are also worried because “Yamaha and Atlas Honda” have also increased their bikes prices. 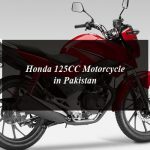 According to Express Tribune, Atlas Honda has increased its motorcycles price two thousand while Yamaha has increased five thousand rupees, the price rise decision has been taken to by keeping in mind the devaluation of the rupees. The new pieces have been taken for the provided list motorcycles dealers. After the increase of four thousand rupees, Yamaha YB125Z has increased from 10,2300 to Rs.10,2700. The cost of Yamaha YBR125G has increased five thousand rupees and now it’s new price is Rs.1,44500. On the other hand, Atlas Honda has increased the prices of the CB150F model to Rs. 2,000, after which the new price become Rs.1,91900 while it was earlier Rs.1,89900. Honda CD 70 has met the increased to Rs. 600 and its new price is Rs.70,500. The new price of Honda CD 70 Dream is Rs.74,500. The new price of Honda Pridor is Rs.96,500. On the other hand the Atlas Honda CG 125 motorcycle has been increased from Rs.10,15900 to Rs.116,500. Honda has not increased the prices of the CB125F or CB12F. Motorbike Assemblies Association Chairman Mohammad Sabir Sheikh said that the main reason for the increase in prices of Yamha and Honda motorcycles is a devaluation of rupee. In 2018, the motorcycle manufacture companies had raised the prices of motorcycles four to five times and in 2019 the price has been increased for the second time. Yamaha and Honda Increase Prices of Their CD 70 and 125 Motorcycles.